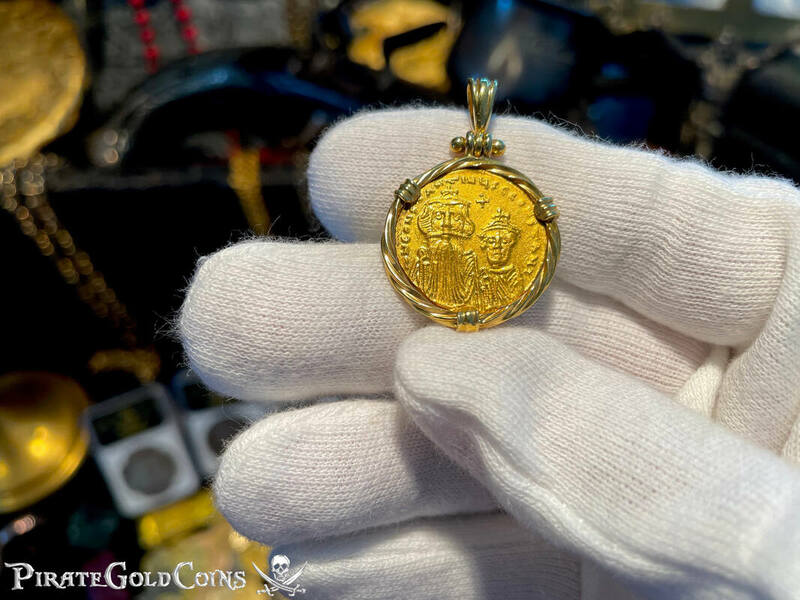 MEXICO 1714 8 ESCUDOS GOLD ELECTROPLATED 22kt (2 Microns thick! Legally only needs to be .25 microns thick but makes a huge difference in longevity) “SKULL PENDANT” DOUBLOON TREASURE COB COIN SILVER This incredibly “Artist Handmade” SKULL PENDANT was especially designed and hand crafted for our “PIRATE GOLD COLLECTION.” Our Signature line is growing everyday with New and exciting Handcrafted and Designed pieces for our Collectors. This particular piece required nearly a Half a YEAR of artist handcrafted time. 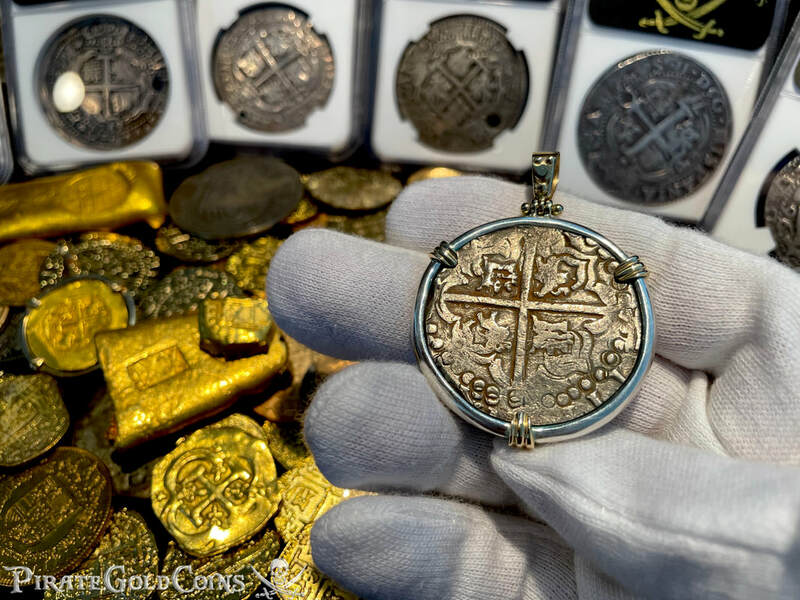 The LIMA PERU 8 Escudos is approximately 30mm and weighs almost an ounce. 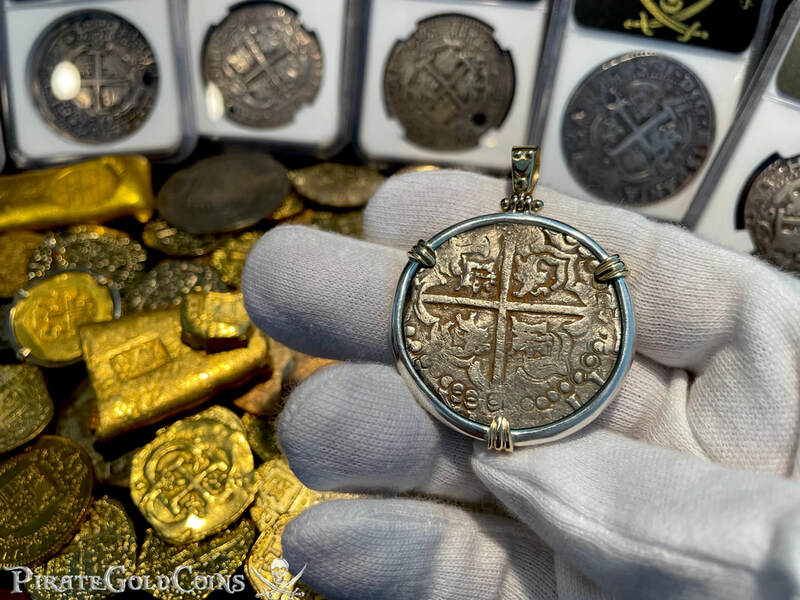 The reproduction of the coin is made of Pure Silver and plated in 24kt Gold. * However, you can also have the coin in PURE 18 , 22 or 24KT Gold as well (additional cost). The Bezel itself is crafted out of pure silver and is transformed into a Dark Black Color. The Bezel is also available in Pure Gold as well (of any karat of your choosing at an additional cost). 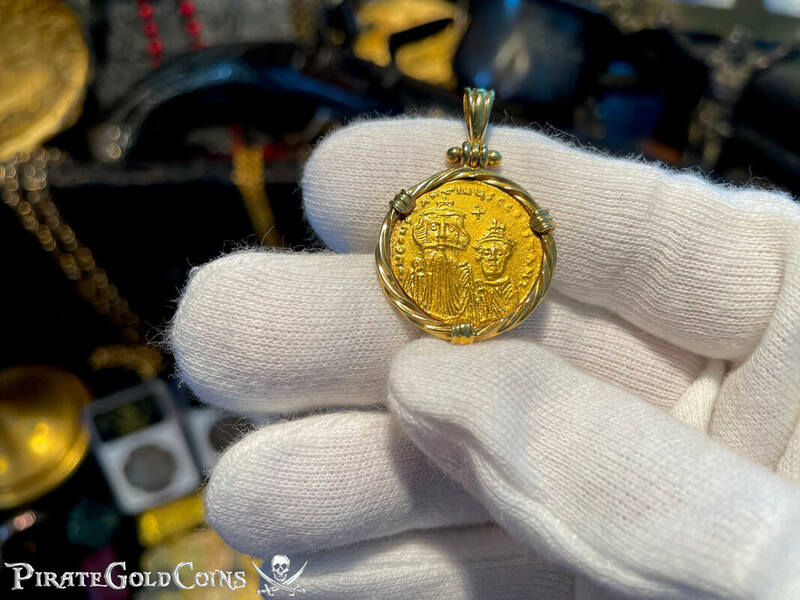 We always strive to Create and Design new special pieces for all of our “PIRATE GOLD COINS” Collectors!